KIGALI – Rwanda’s top RnB artiste Ngabo Medard Jobert, known by the stage name Meddy, has cancelled his show in Burundi at the last minute citing security concerns, a statement by his management team said. Meddy, said the statement, was saddened to announce his cancellation of the concert in Bujumbura. “We are sad to announce that we will, unfortunately, have to postpone our upcoming shows in Burundi due to security concerns,” it said. 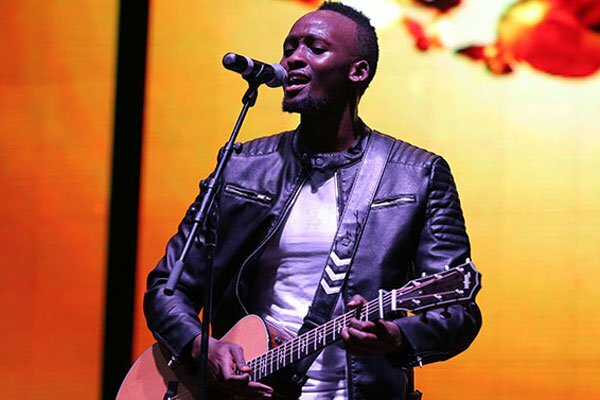 According to The East African, the Rwandan musician was expected to perform this weekend at Rue de L’Uprona and at Lacoste beach, both in Bujumbura. The statement further said that the events had been rescheduled to new dates to be announced in the near future. Medddy is among the artistes with a large following in Burundi. The artiste was born in 1989 in Bujumbura and attained his primary and high school education in the capital. His father, Mr. Sindayihebura Alphonse, is believed to be a Burundian and the mother from Rwanda. Also read: Inside Burundi- Rwanda frosty simmering relations, what are the real issues? The cancellation of the show comes as Burundi and Rwanda relations continued to deteriorate. Burundi President Pierre Nkurunziza said recently that the Rwandan government was considered as an enemy of his country. Since 2015 when President Nkurunziza vied and won a controversial third term in the office, the relation between the two countries have deteriorated, with Burundi accusing Rwanda of organising the 2015 failed coup. In return, Rwanda accuses Burundi of sheltering the FDLR rebels who Kigali accuses of committing the 1994 genocide against the Tutsi and moderate Hutus.